In a setting packed with military veterans, photographer Roben Bellomo had a number of compelling subjects to focus on. But one group in particular caught his eye. And in the snap of a shutter, he captured an image that is in contention for a global prize. 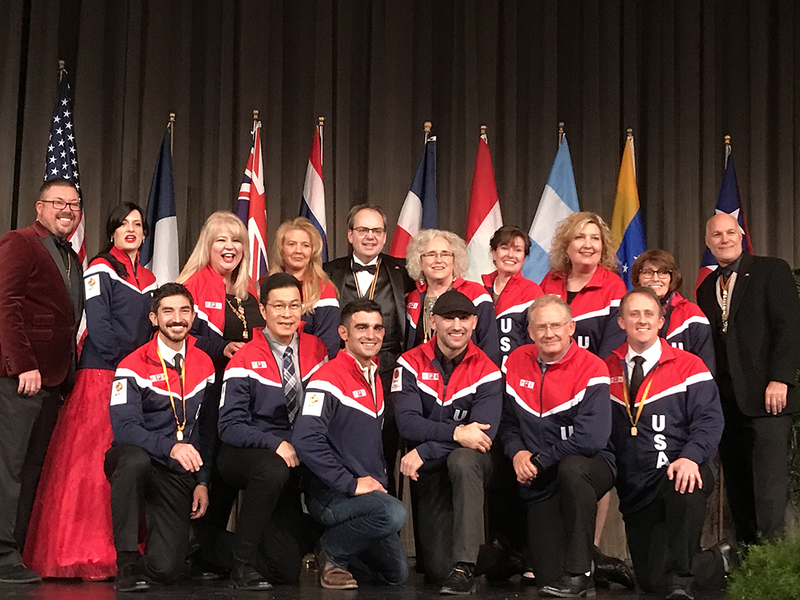 Bellomo’s moment happpened during a 2017 Indy Honor Flight reception in Plainfield, where he shot a photo that will represent Team USA at the 2018 World Photographic Cup in Queensland, Australia. Bellomo’s photo, titled “Brothers of War,” was selected as a Team USA finalist at the Jan. 15 Grand Imaging Awards of Imaging USA in Nashville, Tenn. Co-founded by Professional Photographers of America and the Federation of European Photographers, the World Photographic Cup will have entries from 30 nations. A professional photographer since 2011, Bellomo, 39, was pleasantly surprised when he learned of his selection. 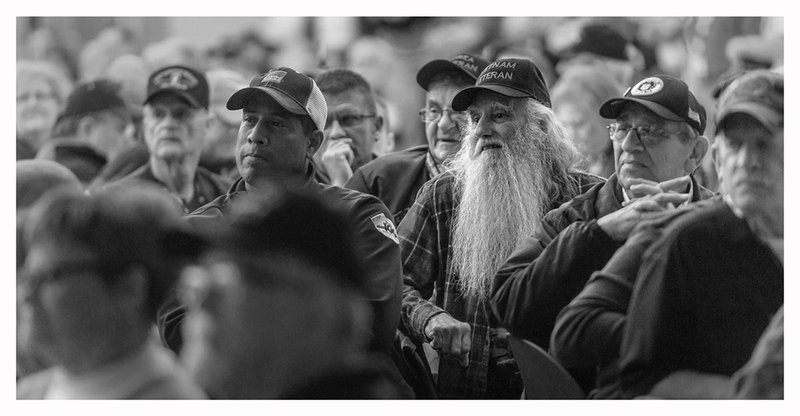 “Brothers of War” is a black-and-white image of veterans sharing a solemn moment before a pre-Indy Honor Flight meal. The focal point is an elderly man with long gray hair, a shaggy gray beard, a haggard countenance, a slight smile and sporting a cap emblazoned with the words: VIETNAM VETERAN. He is surrounded by other men and women who served during World II and the Korean and Vietnam wars. “This event involved well over 100 veterans,” Bellomo said. “I took dozens of shots of different groupings of many of those in attendance, but in the image ‘Brothers of War,’ this grouping stood out in particular. Not only was the main subject a character, but he stood out to me as a model outside the ‘norm’ of what I expected. He was a man sitting with a full spectrum of other wonderful men and women who made tremendous sacrifices for us. Indy Honor Flight is a nonprofit that provides free transportation for World War II and Korean and Vietnam veterans to visit war memorials in Washington, D.C. The World Photographic Cup winner will be announced at the May 5 WPC Awards Ceremony at Sea World Gold Coast in Queensland, Australia. To see finalist images from around the world, visit WorldPhotographicCup.org.